Nylon browband headstall with reins. 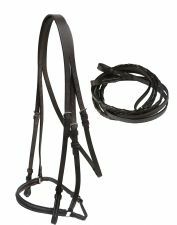 Horse size black leather english bridle with reins. Horse size brown leather english bridle with reins. Cob size Black leather english bridle with removable cavesson and braided reins. Cob size dark brown leather english bridle with removable cavesson and braided reins. 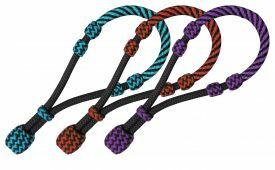 Showman ® Premium Nylon One Ear Headstall with stitching. 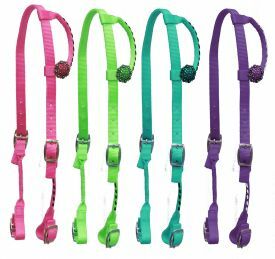 Showman® 5/8" Nylon bosal noseband. 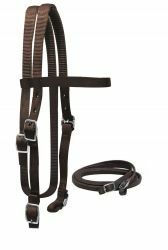 Showman ® 2 ply Nylon headstall. Showman ® Single ear filigree print belt style headstall with antique bronze hardware and studs. 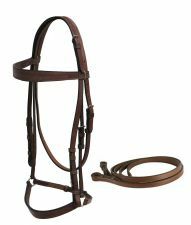 Showman® Premium nylon brow band headstall with snaps. Showman ® Argentina cow leather belt style headstall with copper studded brow band and engraved copper barrel racer conchos. Showman ® metallic splash hair on cowhide belt style headstall with copper hardware. Showman ® One ear belt headstall with suede overlay and crystal rhinestone studs. Showman ® One ear belt headstall with teal alligator print. Showman ® One Ear Belt Style Leather Headstall with metallic paisley print. Showman ® One Ear Belt Style Leather Headstall with Colored Stingray Print. Showman ® One Ear Belt Style Leather Headstall with snake print. Showman ® Belt Style One Ear Headstall with Alligator print. Showman ® Belt Style One Ear Headstall with Alligator print and Barrel Racer Concho. Showman ® Belt Style One Ear Headstall with Hair on Cowhide Zebra Print. Showman™ double stitched leather browband headstall with pink and clear rhinestone conchos. Showman™ Basketweave tooled wide cheek leather headstall with reins.